CSS Filter Effects is not compatible for Chrome browser 4 to 17. Chrome 18 to 52 support this property with prefix -webkit-.Chrome 53 to 67 support this browser element. This browser property is not compatible for Firefox browser 2 to 3.5. Firefox 3.6 to 34 partially support this web element.Firefpx 35 to 60 support this web element. Safari 3.1 to 5.1 doesn't not support CSS Filter Effects.Safari 6 to 9 partially support this property with prefix -webkit-.Safari 9.1 to 11.1 support this property. 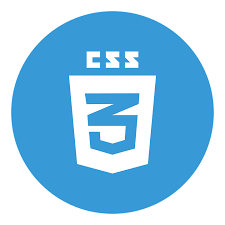 CSS Filter Effects element is partially supported by Microsoft Edge browser version 13 to 17. This property is not supported by default but can be enabled for Edge 12 browser. Opera browser version 10.1 to 12.1 doesn't supports this property.CSS Filter Effects is partially compatible with prefix -webkit- for Opera 15 to 39. Opera 40 to 53 support this browser property.